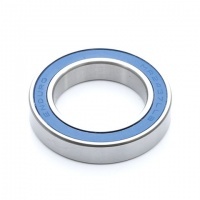 Bearing for use on Hollowtech bottom brackets - will fit straight on to the Hollowtech II axle. Will use them next time I need bearings for my bicycle fast service and reasonable price. Wych makes it easy to find replacement bearings at a much more reasonable cost than going through bike shops. Exact same bearing you will get through the bike shop, but about 5 times less expensive. Fast delivery too! purchased to replace Trek BB90 bearings, fitted perfectly, needed to be pressfit, which is a good thing.Point to note for new Trek owners, rthese bearings are slightly different to the factory ones, in that the fitted ones are slightly different size and come in a plastic sleeve, this sleeve isnt as effective as the rubber seals at keeping out water. Therefore these replacement bearings are better, however not genuine Trek, therefore need to be aware in case of future warranty issues. replacement praxis bottom bracket bearings working great again now .great service delivered to Spain within a week .